Vacations used to be sacred before the advent of smartphones and Wi-Fi everywhere you turn. You could hop last minute flights to Paris for a week and never check your email because Internet cafes were few and far between. In today’s world, especially for millennial travelers, having a good Wi-Fi connection is crucial while traveling. We Instagram our breakfast, lunch, and dinner. We reply to emails as though we are still at the office. Unplugging on vacation is becoming harder and harder to do in this digital age. 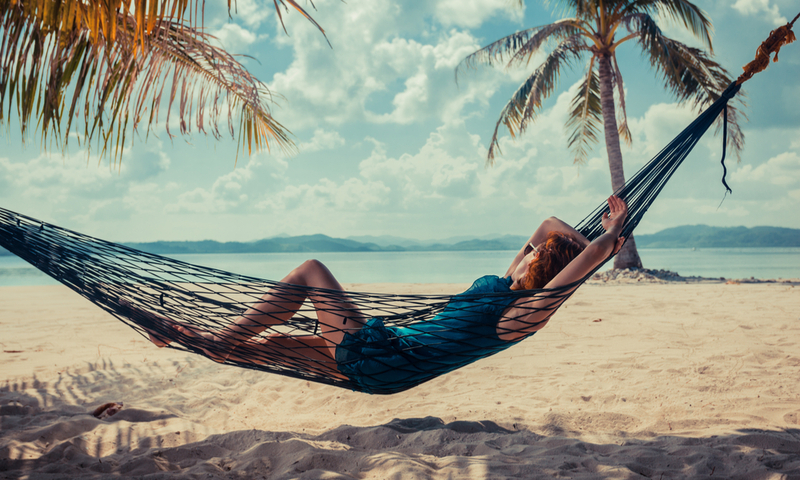 At the same time, there are have been numerous medical journals detailing the essential health benefits of taking time off from work and going on vacation, which highlights what most of us already know — we need to log off and relax. If you struggle with cutting the Wi-Fi on your travels, here are some simple secrets for successfully planning an internet detox vacation. You know which apps you open every day and spend probably far too much time on, usually those social media culprits. 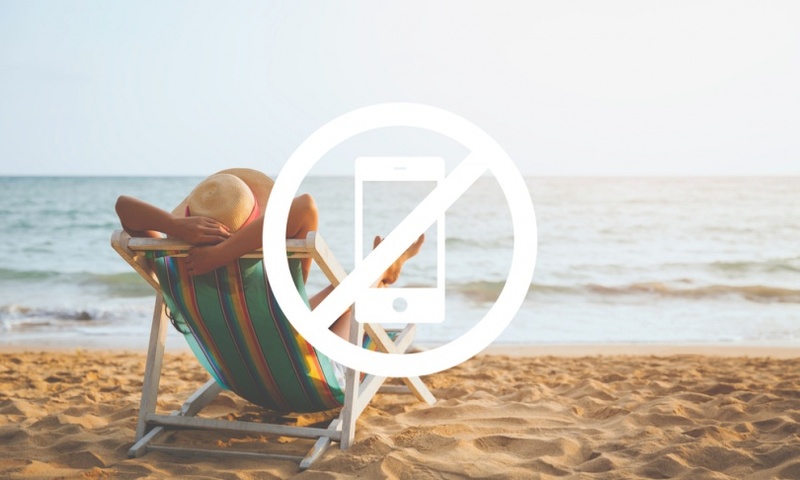 If you want to unplug on your next vacation, you have to go cold turkey with your apps. 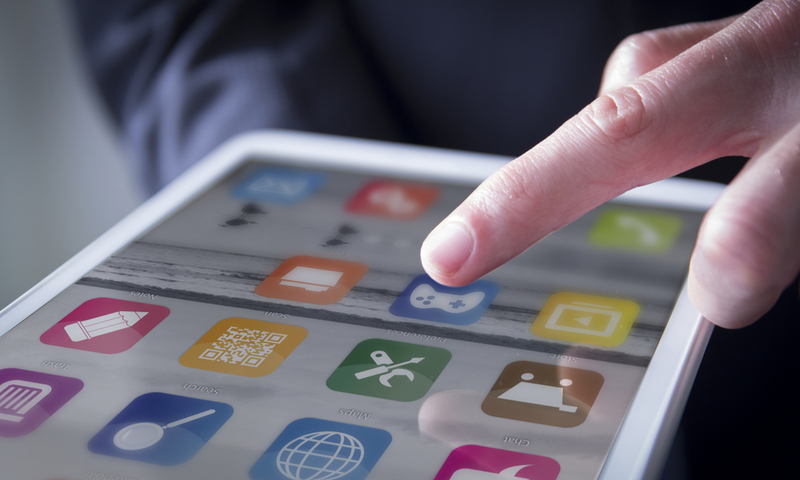 Hone in on the apps that you use daily and uninstall them for your trip. It’s not goodbye; it’s just see you later. You can reactive the apps when you get home. If they aren’t on your phone on your trip, it can have an out-of-sight, out-of-mind effect. You’ll be less inclined to update your social network on what you had for breakfast or with that selfie in front of a famous landmark. 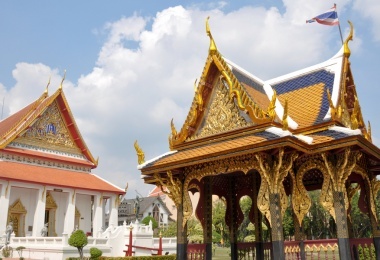 Looking for last minute flights for your next adventure? Check out these deals that can help you SAVE! You might still want to get emails and texts while you travel. That’s all fine and well. However, if you want to resist the urge to check those emails and texts while you are traveling, you need to turn off your push notifications and sounds alerting you that there are new messages. When you hear the ding of a new email, you’ll be tempted to look at what that email says. If you don’t hear or see a notification pop up, you might resist the urge to start going through your inbox. Some accommodations or even an entire location, just by nature, make it hard to stay plugged in on your travels. They might lack Wi-Fi or TVs in the room. They might be in remote locales so you are less likely to even find a signal. 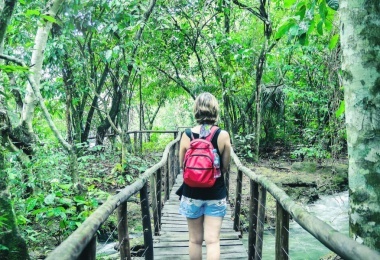 If you truly want to get off the grid, look for accommodations and destinations that will help you do so, whether they are perched in a more serene, remote setting or they charge a hefty $15 for 3 hours of Wi-Fi. If there are hurdles towards trying to plug in, you’ll be less likely to put in the effort to find that signal. Most of us have a bit of predisposition for worrying when we aren’t connected on our devices. If you have ever left your phone at home accidentally, you probably know the feeling. You convince yourself someone has been trying to reach you or that something has happened and you need to get in touch. You come home to find no one has called or emailed. This can happen on vacations. While you might want to unplug, that predisposition for worrying can creep in, convincing you that someone needs you so you just can’t turn off your phone. The best measure you can take to ensure you only hear from people in emergencies when you travel is to tell your friends, family, and colleagues you are going on vacation. If your contacts know you are away, they might refrain from reaching out to you about something that can wait until Monday. You sit down to a cafe and they have the Wi-Fi password on the menu. You don’t really have anything to look up or check but because the Wi-Fi is there, you log on. Suddenly, rather than enjoying that cute café in Rome, you are engrossed in a work email that could wait until you get home. Perhaps it has become some sort of second nature, but when you travel, finding an establishment with Wi-Fi can feel like you just struck gold, even if you don’t really need it. To truly unplug, try switching off the Wi-Fi detector on your phone when you are out for the day sightseeing. When you pull out your phone to take a photo, you won’t join a Wi-Fi network that pops up. If you really want to unplug, you can even switch to airplane mode so you only use your phone as a camera and not log on to the Internet. As we’re so used to our busy day-to-day lives, after a few days spent relaxing on a tropical beach in the Caribbean, you might start to get a little antsy. While it sounds silly, some people just aren’t good at taking time off from work. 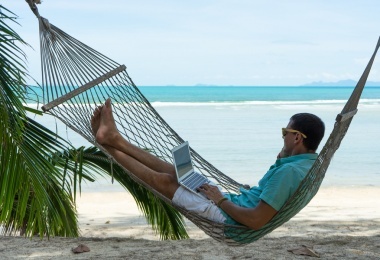 If you tend to get a little bored after a few days spent lounging on a beach, you might be tempted to check some emails or even worse, get some work done ahead of time. For those with a problem relaxing, fill up your vacation itinerary with classes, tours, and activities. Figure out that one thing you have always wanted to do and go do it. Sometimes keeping busy on vacation can help you resist the urge to see what everyone back home is doing while you’re away. 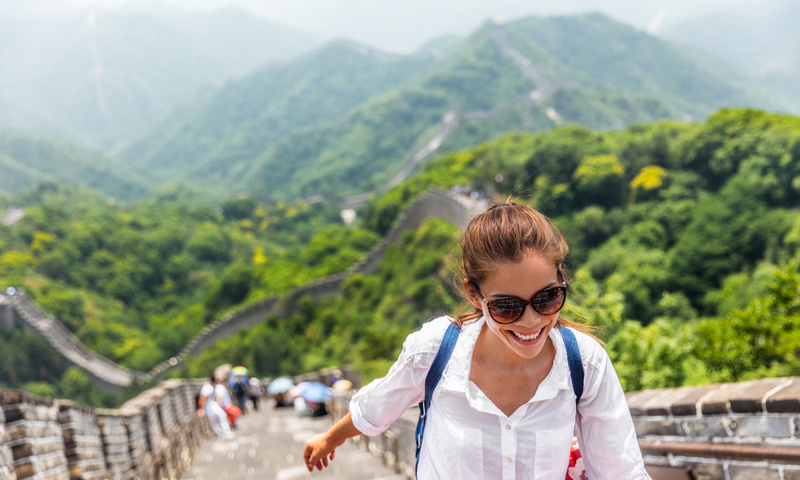 Now that you know how to put your phone away and enjoy your next vacation, start looking for some deals on last minute flights so you can get to that internet-free getaway ASAP! Have you taken an unplugged vacation? Share your tips for going off the grid in the comments below! 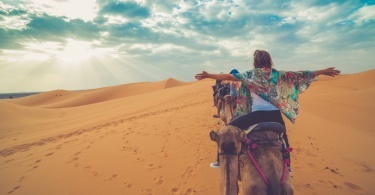 Get Your Dose of Cairo with These Cultural Experiences …(Other Than Sightseeing)!